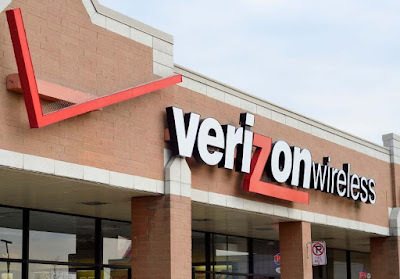 Verizon Wireless, the largest mobile carrier in UnitedStates, takes Apple’s side against “backdoor” into phones for Law Enforcement. Verizon CEO ‘Lowell McAdam’ issued a statement in support of Apple’s stance against a technological backdoor into its devices for law enforcement- statement that is significant considering the nation’s largest wireless carrier had so far remained silent in Apple's ongoing battle against an FBI request for access into an iPhone linked to December's San Bernardino shootings. "Verizon is committed to protecting customer privacy and one of the tools for protecting that privacy is encryption," McAdam said. He further added, "We support the availability of strong encryption with no back doors. The case with Apple presents unique issues that should be addressed by Congress, not on an ad hoc basis." This statement by Verizon coincided with an interview on the topic that Apple CEO Tim Cook granted to ABC World News a few days back. "If a court can ask us to write this piece of software, think about what else they could ask us to write," Cook said during the interview, according to a Verge transcript. "Maybe it's an operating system for surveillance. Maybe it's the ability for law enforcement to turn on the camera. I mean, I don't know where this stops. But I do know this is not what should be happening in this country. This is not what should be happening in America. If there should be a law that compels us to do it, it should be passed out in the open, and the people of America should get a voice in that. The right place for that debate to occur is in Congress." Meantime, an article published in the New York Times citing unnamed sources reported that Apple engineers are working on “new security measures” that would make it impossible for the external agencies to unlock an iPhone. Verizon joins Facebook, Twitter and other major Tech companies in voicing support for Apple’s position. However, other major carriers have remained silent on the topic.